For the Olympic canoer, see Bruce Barton (canoer). Born in Robbins, Tennessee in 1886, Barton was the son of a Congregational clergyman and grew up in various places throughout the U.S., including the metro Chicago area. Barton was raised in Oak Park, Illinois (located only ten miles away by railroads from Chicago). Bruce Barton's father, William E. Barton, was a prolific writer and a devout Christian pastor serving the First Congregational Church for over 20 years. Barton's mother, Esther Treat Bushnell, was an elementary school teacher who was descended from a number of colonial Connecticut leaders including Francis Bushnell, Robert Treat, and John Davenport. Barton's siblings were Charles William Barton (b. 1887), Helen (b. 1889), Robert Shawmut Barton (b. 1894). Barton's parents also took in a young abandoned mulatto boy to care for in the Barton household by the name of Webster Betty, as they also did for Rebecca, a young African-American girl whose mother asked Barton's parents to take care of her. Journalism appealed to Barton even as a child and he sold newspapers in his free time when he was only nine. Later on during his teenage years, he served as the editor for his high school newspaper, and became a reporter for a local newspaper called the Oak Park Weekly. Barton also helped run his uncle's maple syrup business, which became successful due to his contributions. Barton first enrolled in Berea College (where his father attended college) during 1903 and later transferred to Amherst College in Massachusetts, where he graduated in 1907. Barton worked as a publicist and magazine editor before co-founding the Barton, Durstine & Osborn (BDO) advertising agency in 1919. Nine years later the agency merged with the George Batten agency to become Batten, Barton, Durstine & Osborn (BBDO). Barton replaced Roy S. Durstein as president of BBDO during 1939 and then headed the BBDO agency until 1961, all while helping his business partners and employees toward establishing Madison Avenue in New York City as the Mecca for the advertising industry, advancing institutional advertising for American corporations, and developing BBDO into one of the major creative advertising firms operating in the United States. Among other famous BBDO campaigns, Barton created the character of Betty Crocker. He is also credited with naming General Motors and General Electric (and creating an early design of the circular GE corporate logo and catch phrase). Barton was also a member of the Peabody Awards Board of Jurors from 1940 to 1942. Initially supporting progressive political policies as a young man, Barton later became an active supporter of the Republican Party in 1919, and he later served as an advisor for both the Republican Party and several Republican presidential candidates from the time of Calvin Coolidge during the 1920s to that of Dwight Eisenhower during the 1950s. As a staunch opponent of U.S. President Franklin D. Roosevelt and the New Deal, Barton offered his public relations services to many Republican candidates over the years. Barton won a special election to fill the unexpired term of Democrat U.S. Rep. Theodore A. Peyser, who died on August 8, 1937. 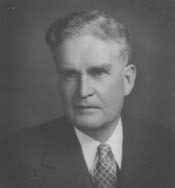 Barton eventually served two terms (1937–1941) in the U.S. House of Representatives, representing the Manhattan house district and he later ran an unsuccessful 1940 campaign for election as U.S. Senator from New York. As the author of many bestselling guidebooks, Barton also wrote literally hundreds of popular magazines articles and syndicated newspaper columns, offering his readers advice and inspiration for attaining Barton's own idealization of the American Dream, based largely upon Barton's meshing of his own life as a "small town boy" and sectarian Christian beliefs in with his admiration of certain American business and industry leaders ("Service"). Barton had projected many Christian Biblical themes throughout his works completed within his varied writing career, due in part to his own strong religious convictions. One historian writes: "Barton believed incurably in material progress, in self-improvement, in individualism, and in the Judeo-Christian ethic, and none of the profound crises through which his generation lived appreciably changed the tenor of his writings or their capacity to reflect what masses of Americans, optimists in the progressive tradition, apparently continued to want to hear." Barton's most famous book was, The Man Nobody Knows (1925), a "boosterish melding of religion with business" that coupled with "new communication and advertising media", provided the "cultural shift that encouraged the public display of spiritual allegiances that once belonged to the realm of private life", while amplifying the widely perceived public adoration of American business during the 1920s. In this book, Barton envisions Jesus as if he were alive as a man's man in the present day of the 1920s while criticizing the overly meek Jesus that people were used to during that time. Barton also depicts Jesus as a "strong magnetic" executive businessman, similar to himself. In the 1925 edition of The Man Nobody Knows Barton incorporated controversial chapter titles leading into the exploration of Barton's Jesus-as-businessman themes, such as calling Jesus a modern "Executive", postulating that Jesus communicated effectively by "His Advertisements", and hailing Jesus as "The Founder of Modern Business" among others. In the much later 1956 edition of The Man Nobody Knows, editors at Bobbs-Merrill "heavily amended" Barton's text with his permission, cutting out the references to business and advertising. along with excerpts featuring popular celebrities of the 1920s, such as Henry Ford, George Perkins, and Jim Jeffries. Public attention was called to a sexual affair that Barton was secretly having from 1928 to 1932 with BBDO employee Frances Wagner King. King had originally presented herself to Barton and others at BBDO as an unmarried woman. Her husband later threatened to sue Barton for alienation of affection. Barton paid the Kings $25,000 in hush money. Later, during a 1932 appointment with her attorney, Mrs. King informed Barton that she was suing him for slander and seeking damages of $250,000 based on an unfavorable work reference he had provided to a potential employer of King. Mrs. King also informed Barton she was working on a novel about an advertising man based loosely on Barton's own private and public life, but that she would not publish her work and would drop her slander lawsuit if Barton would settle the matter with a payment of $50,000 to King. The newspapers reported about the Barton and King sexual affair (and other similar King allegations of impropriety by Barton) after learning of Barton's arrest under a civil order from Mrs. King's slander suit. Barton filed a blackmail criminal charge against Mrs. King on April 17, 1933, and her criminal trial ran from July 18 to August 2, 1933. On August 2, 1933, a jury found Frances Wagner King guilty of blackmail. After her serving two years of her original sentence, an appeal court reduced Mrs. King's sentence to three to six years. The attorney handling Mrs. King's slander suit against Barton had paid to typeset King's novel, arranged to have Barton arrested, and offered to rescind the slander lawsuit against Barton upon a settlement paid to King. King's attorney was later disbarred in 1936. Bruce Barton died at his home at 117 East 55th Street in New York City in 1967. This gives you an idea of the raw material. Clean, sound timber – no knots, no wormholes; a great contrast to the imported stuff with which our social settlements have to work in New York and other cities. the whole cost to a boy or girl for a year's study – room, board, books, etc., – is $146. More than half of this the student earns by work; many students earn all. ^ "Mr. Barton is Drafted". Time. October 7, 1940. Retrieved 2008-04-11. Redhaired, blue-eyed Bruce Barton, 54-year-old advertising tycoon, made millions selling Americans on reading (Dr. Eliot's Five-Foot Shelf); on clean collars (Cluett-Peabody collar ads); on shaving (Gillette); on working (Alexander Hamilton Institute); on Jesus and the Bible (The Man Nobody Knows, The Book Nobody Knows). ^ "Bruce Barton, Ad Man, Is Dead. Author, Former Representative. A Founder of B.B.D.O., Was Denounced by Roosevelt as Foe of New Deal". The New York Times. 6 July 1967. Retrieved 2008-05-21. ^ "Pioneer of Advertising, Bruce Barton, 80, Dies. Helped Found Large Agency. Opposed Roosevelt's New Deal as Congressman". Los Angeles Times. 6 July 1967. Retrieved 2008-05-20. Bruce Barton, 80, a pioneer of modern advertising, author and a Republican congressman who bitterly opposed the New Deal of Franklin D. Roosevelt, died Wednesday. ^ "Find in a library: The man everybody knew: Bruce Barton and the making of modern America". www.worldcat.org. Retrieved 2017-08-06. ^ "The Man Everybody Knew: Bruce Barton and the Making of Modern America", Richard M. Fried. Ivan H. Dee (Publisher), 2005. Chicago. p.8. ^ "The Man Everybody Knew: Bruce Barton and the Making of Modern America", Richard M. Fried. Ivan H. Dee (Publisher), 2005. Chicago. p. 8. ^ a b Dennis Wepman. "Barton, Bruce Fairchild", American National Biography Online, February 2000. Retrieved November 14, 2013. ^ "The Man Everybody Knew: Bruce Barton and the Making of Modern America", Richard M. Fried. Ivan H. Dee (Publisher), 2005. Chicago. p. 149. ^ "The Man Everybody Knew: Bruce Barton and the Making of Modern America", Richard M. Fried. Ivan H. Dee (Publisher), 2005. Chicago. pp.91-93. ^ "The Man Everybody Knew: Bruce Barton and the Making of Modern America", Richard M. Fried. Ivan H. Dee (Publisher), 2005. Chicago. p.112. ^ a b c d "The Man Everybody Knew: Bruce Barton and the Making of Modern America", Richard M. Fried. Ivan H. Dee (Publisher), 2005. Chicago. pp. 139-141. Wikimedia Commons has media related to Bruce Fairchild Barton. United States Congress. "Bruce Fairchild Barton (id: B000211)". Biographical Directory of the United States Congress.